Sinds 30 jaar is Bureau Technique JOSE COUMONT SPRL uw voorkeurspartner voor de textielindustrie. Wij kunnen u behulpzaam zijn textielmachines te zoeken om uw productie te verbeteren of een bestaande lijn te vervolledigen, of een nieuwe afdeling te starten. Wij beschikken over een ruime keuze van uitgezochte machines om uw vragen te kunnen voldoen in elk stadium van uw productie. Aarzel niet ons te contacteren als u op zoek bent naar materiaal of enige nuttige informatie over onze diensten. Bureau Technique JOSE COUMONT has been founded in the year 1968 by Mr José COUMONT. At this time José Coumont was working at Houget Duesberg Bosson, a manufacturer of textile machines established in Verviers. He was working during 30 years at Houget, and then with the merging with Duesberg Bosson, the manufacturer became Houget Duesberg Bosson. José Coumont was entered at Houget as industrial designer, he designed cards and carding sets at drawing office, he then finished his career with HDB to after-sales service. José COUMONT left HDB in 1968 to establish on his own account in order to provide its services to the changes and retrofit of textile machines, hence the name of the company: Bureau Technique Jose Coumont. On the drawing board, he made many adaptations and refurbishing of machines, he also conceived and designed a cross lapper (blamire) wide width for HERGETH constructor. 1970, he made some retrofits of cards for the company Ateliers Fernand Goreux in Verviers dealing with the sale of used textile equipment. When Mr Fernand Goreux wished to retire, he return his business to Mr José Coumont and 3 other associates. The business of second hand machines was progressing well and they get a contract for the sole sale of the BEFAMA machines. 1973 workshops Fernand Goreux cease their activities and José Coumont decides to take over the trade of second-hand textile machinery. At the same time, he continued the exclusive agency of the BEFAMA machines. 1973 it was also the time when Michel COUMONT (his son) enters the company to grow the business. 1974 the company passes as SPRL and became the Bureau Technique JOSE COUMONT SPRL, with as managers José Coumont and Michel Coumont. The company takes the extension, and became very famous in the sale of used textile machinery. The Bureau Technique JOSE COUMONT SPRL becomes a benchmark for used textile machine. The BTJC exports to all countries around the world and gets loyal customers. The BTJC managed to acquire a relationship of trust with its customers. Many foreign clients overseas, sometimes are no more moving to come and see the machines they buy machines without even coming to see them, trusting in the BTJC services. They are full of praise for the high quality service they receive, which is not common in used equipment. Because the origins of Mr José Coumont, the BTJC specializes in the sale of machines for carded (Woollen system), either bowl scouring machines (Leviathan), preparation, blending plants, Carding Willow (Fearnought), card, Carding Set, Ring Spinning Frame (woollen system), Ring Spinning Frame (Semi-worsted, Worsted), twisting, winding, reeling machines, and many others. One thing leading to another, the BTJC extends its activity to the sale of equipment worsted spinning, semi-worsted and cotton. 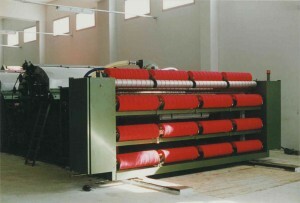 Without forgetting the weaving industry, weaving machines and referred machines: Pirn Winder, Spool Winder, Cop Winder, Warping Machine, Creel, Sizing Machine, Weaving Machine, Jacquard Machine, Dobby Box, Cloth Inspection Machine, Batch Winder, Measuring, Plaiting Machine, Accessories, Laboratory Apparatus, Knotting Machine, drawing-in machines, Beam Carrier, Printing machine, Braiding Machine, Knitting Machine. In the 1980s, the nonwoven develops on the market, many customers retrofit their old carding sets, semi-worsted carding cards and worsted cards. They adapt cross lappers (Blamires) to the end of the cards and install a needling machine (needle loom). 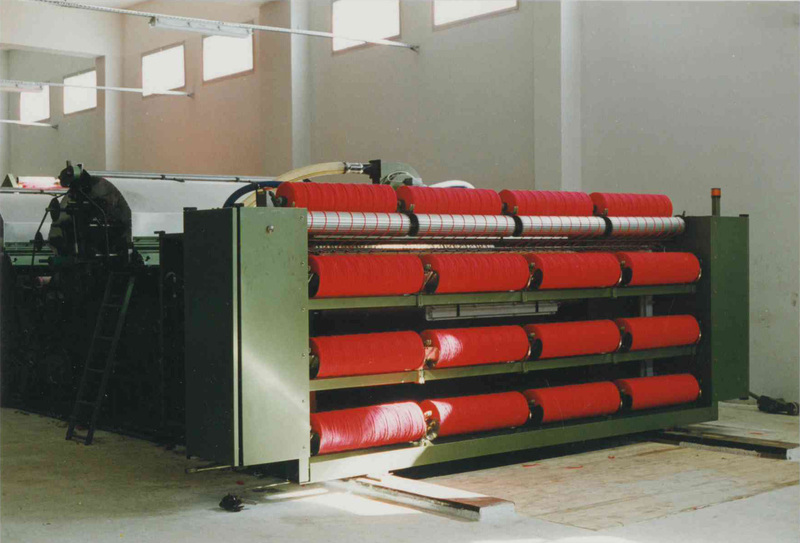 This allows the BTJC to engage in the sale of nonwoven machines: Pickers, Rag Tearing Machines, Cards, Cutting Machines, Cross Lapper, Needle Loom, Card Clothing, Sample Cards, Accessories, Laboratory Apparatus, Bale Breakers, Hopper Feeder for Bales, Calender, Aerodynamic Web Former, Non-Woven Plant.